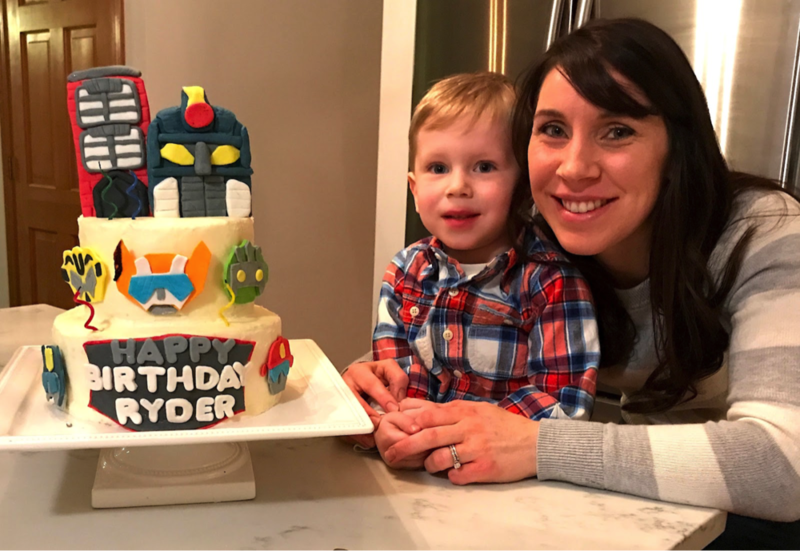 “Ryder, what was your favorite birthday cake Mom ever made you?” Lincoln inquired as we were looking for ideas for his coming celebration. 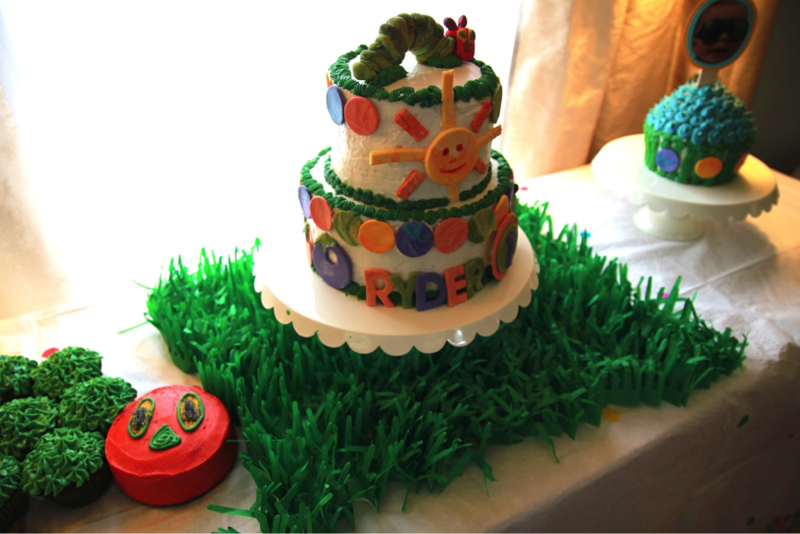 Each child only has a party every five years, but they are allowed to pick out a cool cake for their special day even if it will only be enjoyed by family. “Yep. I loved the sprinkles.” Ryder replied. 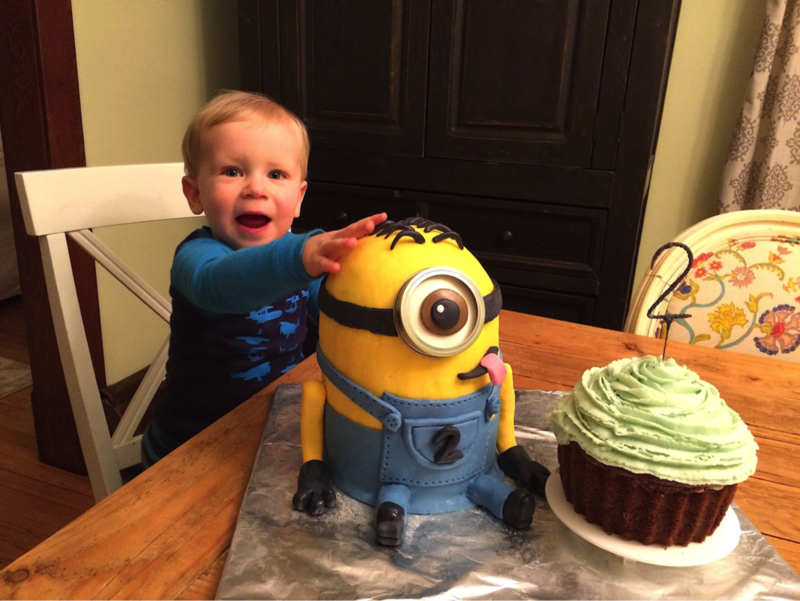 There was the year that every cake picture was met with a “No!” until the minion picture made him throw back his head and laugh… how could I resist? And the next year Paw Patrol was his absolute favorite, so he thought the lookout tower was pretty epic. Then Transformers became the new craze, so I labored to make that one happen too. It got me thinking. Why were these donuts so special to him? I didn’t even waste any calories finishing one, so it certainly wasn’t the taste! Perhaps it was because he helped me make them from start to finish. He made the donuts, and the glaze, and he poured the sprinkles. He has helped me make cakes in the past, but since I stay up way past his bedtime making them, I have opted for the morning grand reveal. Perhaps the process, and time spent with mom, is more important than the result for this kiddo--especially if there are taste tests! A few days later was my youngest son’s birthday. He loves anything Cars and has food allergies, so I made him a homemade cake and put some of his plastic cars and sprinkles on it. He was thrilled with the results! 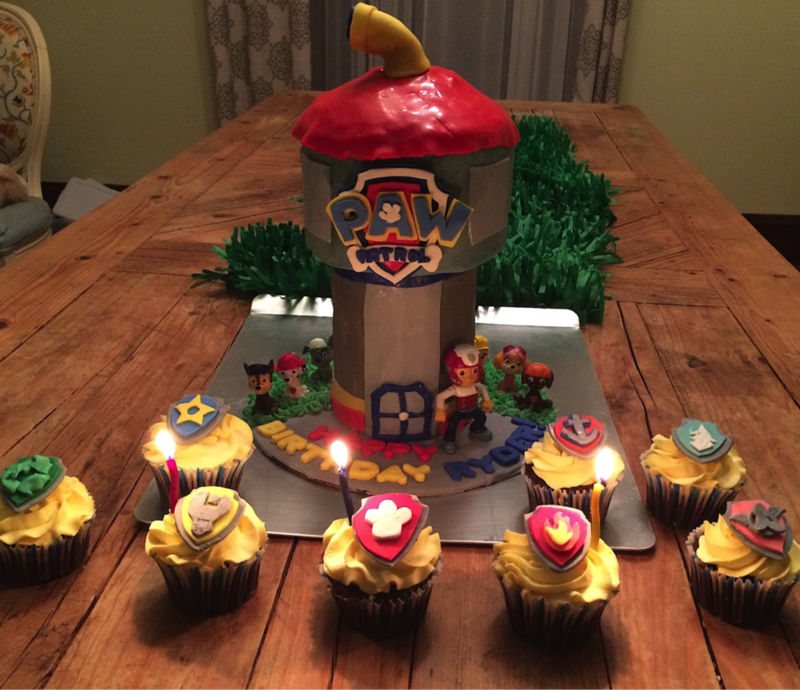 Even my six-year-old, whose response to the Paw Patrol cake is still, “But where is the slide for the Lookout Tower? !”, was satisfied. This was interesting for sure. Everett hadn’t helped, but because it had his favorite characters he was thrilled. (But don’t the fondant characters count too?!? Apparently not… ) After we went to a matinee with Grandma, and had a nice dinner at home, we opened presents. We had purchased him a large Lego creative set, so I suggested a family building time. We spend the better part of an hour all building what we could with our pieces and sharing them. It was so simple, but it was a special time as a family and my little guy was happy as pie. His birthday was a success in his eyes. A few days later we had dinner with friends, and I had my sons create some cake decorations. We bought a little cake--something I never would have done in the past--taped their handmade drawings to popsicle sticks, and stuck them in the cake with a few toys. They were so proud of their hard work. Once again, I realized how much joy it brought my kids to be a part of the process/decision-making aspect of the birthday cake. And in the end it probably is more about spending quality time together than having sugar art that will be destroyed instantaneously. This may differ from child to child. I really do believe personalities affect what we appreciate most. However, listening to our kids about what is important to them is the key. In the future, I still plan on making some elaborate cakes and desserts, but I don’t think I will hold myself to that standard every year. 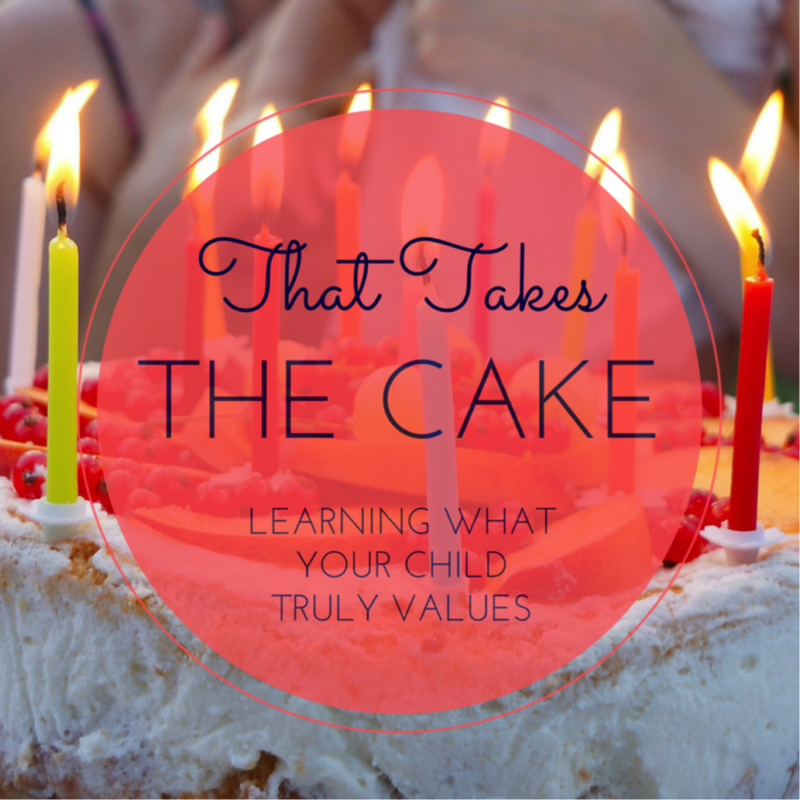 Instead I plan on creating a birthday experience in which my child’s input and values are key. And this is not just a concept for birthdays. It is for the everyday. Not creating a child-centered home, but creating an environment in which the child knows they are valued and loved is a worthy goal. Just as Betsy has always emphasized with the “Fifteen Minutes a Day” approach, we need to realize that having US is better than any treat or experience. Being present is what our kids long for, especially when we are in busy seasons of life. Simply do whatever you can, so you can lie down on the carpet and drive cars or sit down on that tiny chair and have a tea party. THAT is what they will remember. I realized something else through this too. It isn’t about my kids. It’s about God. God knew I was at max capacity. He knew that phoning in a donut cake mix was the best I could do at the time. And somehow, He helped my little boy see the fun in it. Ryder wasn’t meditating on what he missed out, he was thankful for what he had. I believe it is evidence of God swooping in--yet again--to bring good out of hard times. As I strive to follow Him in my parenting in the future, I will trust He knows where my efforts are best spent. Seeking Him and being there are sure to top the list. Posted on April 18, 2018 by Stephanie Hickox and filed under Building Your Family and tagged kids' activities. When you have a baby, there will be plenty of changes to cope with...lack of sleep, a completely new body, emotions, lack of sleep, figuring out how to change a diaper...lack of sleep. Not to mention that you’ll be responsible for raising a human being! The last thing you want to worry about is finances, so planning now will help that to be less of a concern when the time comes. My husband and I began living exclusively on his salary from Day One of our marriage. Having talked about our goals for me to stay home when we had kids, we knew right away that this strategy was going to ease the pain of transition when that change came. And it’s certainly a huge financial change! You will go from being a 2-income-0-kids household to being a 1-income-1-kid household overnight when you decide to stay home. It is best to get used to living on that one income now so it won’t be painful after baby comes. If you haven’t yet begun to live on one salary, make the transition as soon as possible. Take a hard look at your budget and see what discretionary expenses can be cut. Make the lifestyle changes that are necessary and make a plan if you can’t start immediately. Again, even if you aren’t sure that you want to stay home with your baby, you’ll simply be allowing yourself the freedom to choose to do so, if and when the time comes. Now that you’ve figured out how to live and cover your expenses on one salary, begin saving the other spouse’s salary in the bank (assuming your debts are paid off first. Most financial experts will probably advise you to start there, but consult your financial planner if you have a lot of debt to address). If you’re committed to staying home for the long haul, it could easily be 10 years or more before you are ready to re-enter the workforce. Your youngest child won’t be in school full time for 5 or 6 years, so having a savings account with a large enough cushion to last that much time will be ideal. It could only take 1-2 years to save a very large chunk if you’re banking your entire salary. When you decide to give up your job, it is interesting how you’ll feel like the balance of power has shifted. No matter how much both spouses are on board or how supportive they are of each other, it really feels bad not to have “your own” money. I was surprised how affected I was by the loss of my income. I felt like I wasn’t contributing, even though as a stay-at-home mom we definitely carry our share of the load. I also felt like I shouldn’t buy things for myself, like new jeans or a pair of Spring flats. So, I think it’s important to have a small amount of fun-money set aside, within your savings account, that is all yours. Maybe it’s only $2,000, and maybe your husband can have his own slush fund as well to keep things fair. But the rule is that it’s for you to do what you want with. Trust me, it’ll feel good to have that. I’m certainly not a financial expert, so please consult one on this point. But one of the things we made sure to do when I left the workforce was to keep my retirement account active and receiving contributions. Don’t let your spouse’s be the only IRA to keep accumulating, because 10 years is a long time to be losing compound interest. Again, ask the expert, but I’ll caution you to not neglect your own retirement. When couples are ready to begin a family, they often start by buying a bigger house. Be careful that you stick to the one-salary rule when you make this choice! Only purchase a house that you can comfortably afford on one salary. There is nothing worse than being forced to go back to work when all you want to do is stay home and hold your baby. This is one of the most critical decisions that you’ll make to allow yourself the freedom to choose to stay home. So don’t get caught up in what is bigger and prettier. Choose a good house for your family, but be practical and don’t say yes if you can’t afford it on one salary. 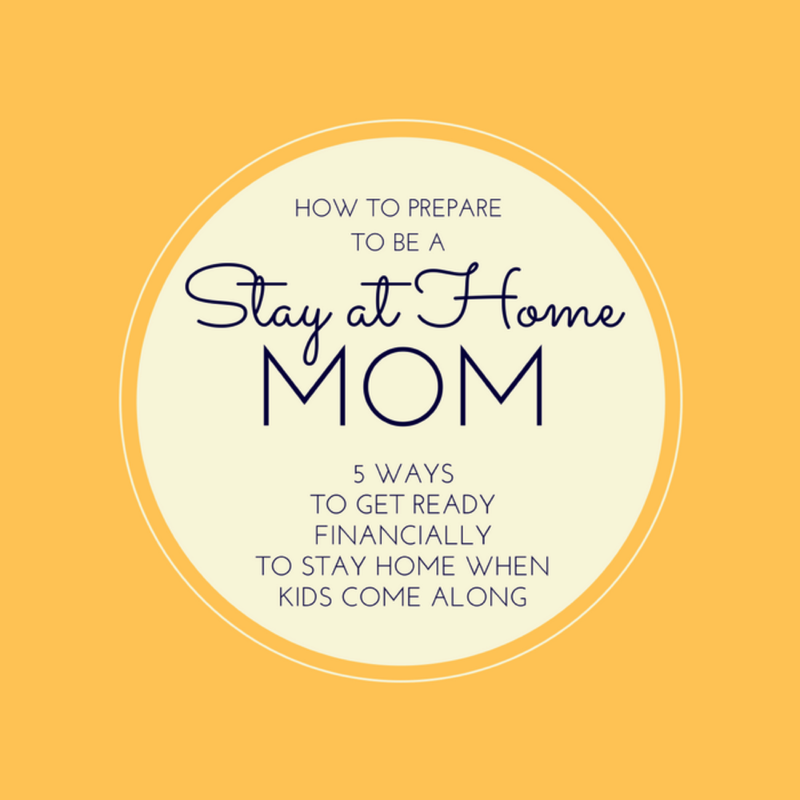 I hope these tips will be helpful as you consider how to set yourself up financially to be a stay-at-home mom. I know that not everyone plans to make that choice, but the idea is to give yourself a choice in the first place. Good financial planning will give you that freedom. Posted on April 11, 2018 by Laura Irion and filed under Building Your Family and tagged money budgeting. Sometimes the hardest situations bring the best ideas, don’t they? Bear with me as I describe some sadness to share a new tradition we just started in our family. This summer our babysitter’s father passed away. It was heartbreakingly tragic and sudden. The funeral, however, was inspiring and beautiful. Because her father had served as headmaster of a Christian school for years, they had excellent video footage of him. In it he described the best thing he could give his children: to set them up to have a solid walk with Christ. Seeing this godly man, hearing his humble, genuine voice… It was powerful. As tears filled my eyes I thanked God that his five children and his wife had that video to watch over and over and over. If you’ve lost a loved one, you know that one of the things you miss most is hearing their voice. It has been seven years since I lost my own father and one of the things I miss most is hearing his comforting voice telling me everything’s going to be okay because I can trust the Lord. As I’ve also lost my father-in-law, I deeply regret that I can’t hear him call my baby girl “Pretty Girl” as he called his other granddaughters. This Christmas, I sat with my husband in the ER, knowing that it is not a guarantee that we will grow old together. Thankfully he is okay, but the realization remains. As parents, we want to leave as much evidence of our love for our children. My ponderings of this were interrupted with the fact that my son’s fifth birthday was quickly approaching. The collision of these resulted in the beginning of a new tradition for my family: video birthday cards. Travis and I have decided that for each child’s birthday, we will record a video pouring in identity and telling them how deeply we love them. We believe this will be a blessing to them while we walk this Earth, and beyond. Anyone who knows me well knows I am pretty MIA on social media. However, I have to admit, technology has some redeeming value for memorializing our lives, and this is a great way to do it! Before you start, make a bulleted list of the points you want to hit upon. It’s a clip, not a movie. Try to keep it between 1-2 minutes. Make sure you focus on the best qualities you see in your child. This should be mostly character traits--not just what they “do” that you love. Try to include a funny or important anecdote about them from this year. Include your husband if possible.The goal is for your child to feel as loved as possible! Perhaps mentioning their favorites (movies, games, foods, etc..) or activities at the time would be fun. Consider ending with a verse or hope you have for them for the coming year. Mostly I think it just needs to be natural and simple… otherwise it will be a tradition that is not followed through with. Share your heart and your love. That’s it. And won’t Ryder’s future bride be interested to know that he could kiss me a hundred times a day and still want “one more!”? I’m excited to play Lincoln’s “cards” for him when he is a new father. Will he remember that he has always been crazy for babies? May this simple effort prove powerful for years to come, for my family and for yours! Posted on January 10, 2018 by Stephanie Hickox and filed under Building Your Family and tagged encouragement kids. I don’t know about your house, but at ours, boredom tends to set in pretty quickly over breaks when we don’t travel. The first day of lounging around in pajamas is fun, but after that the whining takes over. I came up with a solution over our recent Thanksgiving break that worked really well for the problem of too-much-boredom over a school holiday. My philosophy is that it’s not my job as a mom to entertain my kids. We can debate that as I’m open to other viewpoints. But in general, I think kids today have so much entertainment they don’t know what to do with it, and they should be required to stretch their own brains to come up with activities to pass the time when necessary. My kids definitely don’t agree with me on this. When they’re bored, I’m the first one they come to. (And sadly, if I don’t produce, they’ll just move on to fighting with a sibling.) I can start to feel like I’m in a hostage situation by hour 2 of a school break, and I have generally good kids! Shockingly, my kids thought this jar was the most fun thing ever. I thought it would stop them from coming to me about their boredom, but the reverse happened. They started whining to me just so they could choose out of the bored jar! Well, whatever. My house has never been cleaner. 1- You shall choose from The Bored Jar immediately if overheard saying any variation of the phrases, “I’m bored,” or “I have nothing to do,” OR at the sole discretion of your mother or father should they even *sense* boredom in your demeanor. 2- You shall immediately perform whatever is instructed on the card you draw with a happy heart whether it is a chore, a bit of fun, or something much, much worse. 3- You may not draw another card, switch, or trade. You may only draw another card when your task has been completed. You shall return the card to the jar immediately after you have read it. 4- If you draw a task that you just did, you must do it again, unless granted a reprieve by your mother (reprieves will be issued based on degree of whininess that led to The Bored Jar drawing in the first place). Weirdly, they just kept coming back for more. When I wrote the index cards, I tried to write them in a 1:1 ratio of chores to fun. As it became obvious that the jar was my kids’ new favorite game, I started adding more and more chores. After all, the point is to make them want to invent their own fun. One last note on my card contents: NONE of the things inside the jar can require any involvement on my part. So no, at our house you won’t find “Fill up a kiddie pool in the kitchen with jello and splash around with the dog in it.” But that’s the beauty of this idea...how you customize it is entirely up to you. Ready to make your own Bored Jar? All you need is a jar and some slips of paper. Make them all the same color or the kids will get wise as to which pieces have their favorite tasks and which ones they should avoid. Then, write one task on each piece of paper. Fold them all the same way, and put them in the jar. Done! You can be as creative as you’d like. And if you’re a much nicer mom than me and you want to put all fun stuff in there, no judgment. 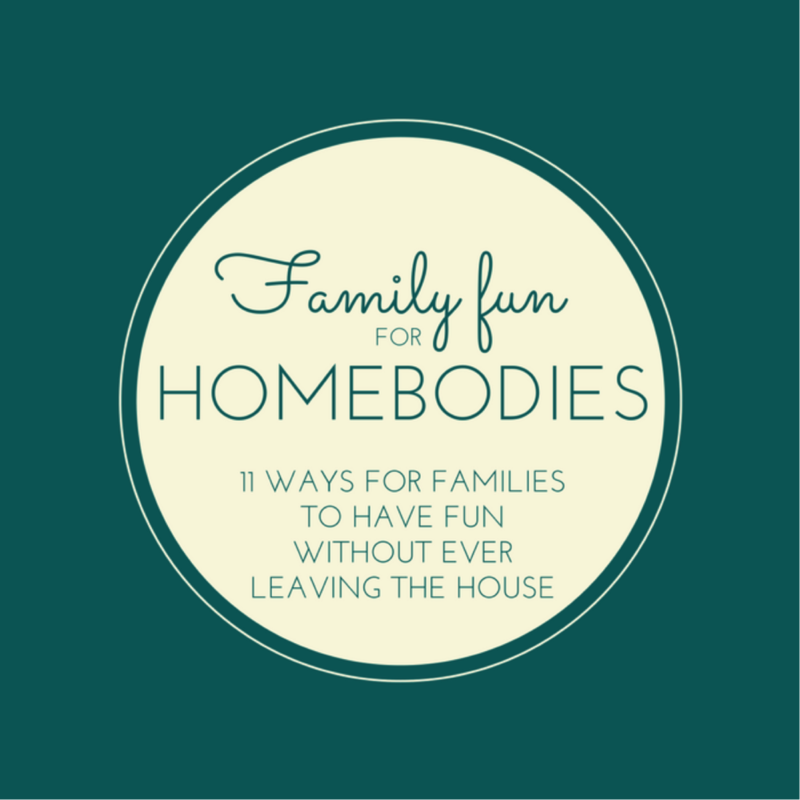 It’s an idea that you can use as a consequence or as a fun bonding experience. Either way, no boredom = holiday break win. Write down all the first and middle names of all the stuffed animals in your room. (Give them middle names if they don’t already have them). Posted on December 15, 2017 by Laura Irion and filed under Building Your Family and tagged kids holidays.